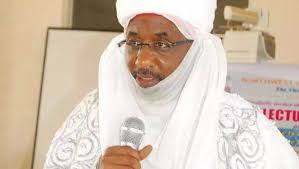 The former Central Bank Governor, and Emir of kano His royal highness muhammadu Sanusi the second , surprised guests present at the Muson Centre for the launching of the book of Sir Olaniwun Ajayi. Below is his unedited speech. “Let me start by saying that I am Fulani (laughter). My grandfather was an Emir also fulani my uncle and guardian was also the immediate late Emir of kano Alhaji Ado Bayero and therefore I represent all that has been talked about this afternoon. Sir Ajayi has written a book. And like all Nigerians of his generation, he has written in the language of his generation. “My grandfather was a Northerner, I am a Nigerian. The problem with this country is that in 2009, we speak in the language of 1953. Sir Olaniwun can be forgiven for the way he spoke, but I cannot forgive people of my generation speaking in that language. “Let us go into this issue because there are so many myths that are being bandied around. Before colonialism, there was nothing like Northern Nigeria, Before the Sokoto Jihad, there was nothing like the Sokoto caliphate. The man from Kano regard himself as bakane. The man from Zaria was bazazzage. The man from Katsina was bakatsine. The kingdoms were at war with each other. They were Hausas, they were Muslims, they were killing each other. said it was a Muslim North. “The Colonialists came, put that together and said it is now called the Northern Nigeria. Do you know what happened? Our grand fathers were able to transform to being Northerners. We have not been able to transform to being Nigerians. The fault is ours. Tell me, how many governors has South West produced after Awolowo that are role models of leadership? How many governors has the East produced like Nnamdi Azikiwe that can be role models of leadership? How Many governors in the Niger Delta are role models of leadership? Tell me. There is no evidence statistically that any part of this country has produced good leaders. You talk about Babangida and the problems of our economy. Who were the people in charge of the economy during Babangida era? Olu Falae, Kalu Idika Kalu. What state are they from in the North? “We started the banking reform; the first thing I heard was that in Urobo land, there will be a curse of the ancestors. I said they (ancestors) would not answer. They said why? I said how many factories did Ibru build in Urobo land? So, why will the ancestors of the Urobo people support her? “We talk ethnicity when it pleases us. It is hypocrisy. You said elections were rigged in 1959, Obasanjo and Maurice Iwu rigged election in 2007. Was it a Southern thing? It was not. “The problem is: everywhere in this country, there is one Hausa, Ibo, Yoruba and Itshekiri man whose concern is how to get his hands on the pile and how much he can steal. Whether it is in the military or in the civilian government, they sit down, they eat together. In fact, the constitution says there must be a minister from every state. “So, anybody that is still preaching that the problem of Nigeria is Yoruba or Hausa or Fulani, he does not love Nigeria . The problem with Nigeria is that a group of people from each and every ethnic tribe is very selfish. The poverty that is found in Maiduguri is even worse than any poverty that you find in any part of the South. The British came for 60 years and Sir Ajayi talked about few numbers of graduates in the North (two as at independence) . What he did not say was that there was a documented policy of the British when they came that the Northerner should not be educated. It was documented. It was British colonial policy. I have the document. I have published articles on it. That if you educate the Northerner you will produce progressive Muslim intellectuals of the type we have in Egypt and India. So, do not educate them. It was documented. And you say they love us (North) more than the south. “I have spent the better part of my life to fight and Dr. (Reuben) Abati knows it. Yes, my grandfather was an Emir. Why was I in the pro-democracy movement fighting for June 12? Is (Moshood) Abiola from Kano ? Why am I a founding director of the Kudirat Initiative for Nigerian Development (KIND)? in the world. We have all the resources that make it easy to make one united great Nigeria . It is better if we are united than to divide it. “Every time you talk about division, when you restructure, do you know what will happen? In Delta Area, the people in Warri will say Agbor, you don’t have oil. When was the Niger Delta constructed as a political entity? Ten years ago, the Itshekiris were fighting the Urobos. Isn’t that what was happening? Now they have become Niger Delta because they have found oil. After, it will be, if you do not have oil in your village then you cannot share our resources. “There is no country in the world where resources are found in everybody’s hamlet. But people have leaders and they said if you have this geography and if we are one state, then we have a responsibility for making sure that the people who belong to this country have a good nature. “So, why don’t you talk about; we don’t have infrastructure, we don’t have education, we don’t have health. We are still talking about Fulani. Is it the Fulani cattle rearer or is anybody saying there is no poverty among the Fulani?”, he said. This is a great message to our generation.